This commemoration takes place on February 5th. Currently, over 20.000 investigators, technicians, fellows and administrative staff throughout the country are part of the Council. 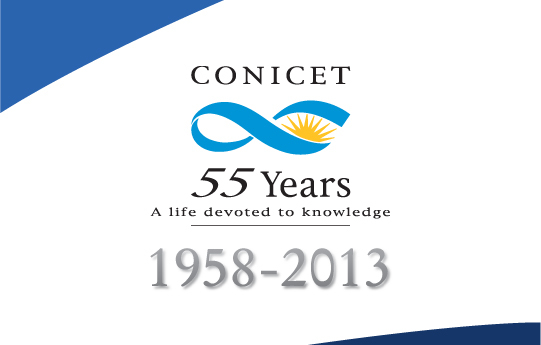 The National Scientific and Technical Research Council (CONICET) was created 55 years ago, on February 5th 1958, although science and technology have been developing in Argentina for over 200 years. In order to celebrate this important date, under the motto “a life devoted to knowledge”, CONICET is going to develop diverse activities during the second semester of this year. The activities range from awards for prominent members of the scientific community to talks, workshops and different proposals for interaction and links with society. Before the creation of the Council, other organizations were in charge of the promotion of technology and science. Those institutions placed Argentina on the international scene when Dr. Bernardo A. Houssay received the 1947 Nobel Prize in Physiology or Medicine for his findings on the endocrine system. Dr. Houssay was the first President of the Council, and he guided the institution with a strategic vision expressed in clear organizational concepts. Its mission, since its origins to the present day, is “the promotion and execution of scientific and technological activities throughout the country and in the different areas of knowledge”. The focus has always been placed on scientific and technological progress within the country, the development of the national economy and the improvement of the quality of life considering the aims of the National Government. In different periods, science and national technology were subjected to different political, social and cultural circumstances. However, during the last 10 years, the Council accompanied the country during its growth process and its increase in the capacity to promote and finance scientific and technological research. CONICET is an independent organization under the scope of the Ministry of Science, Technology and Productive Innovation of Argentina.